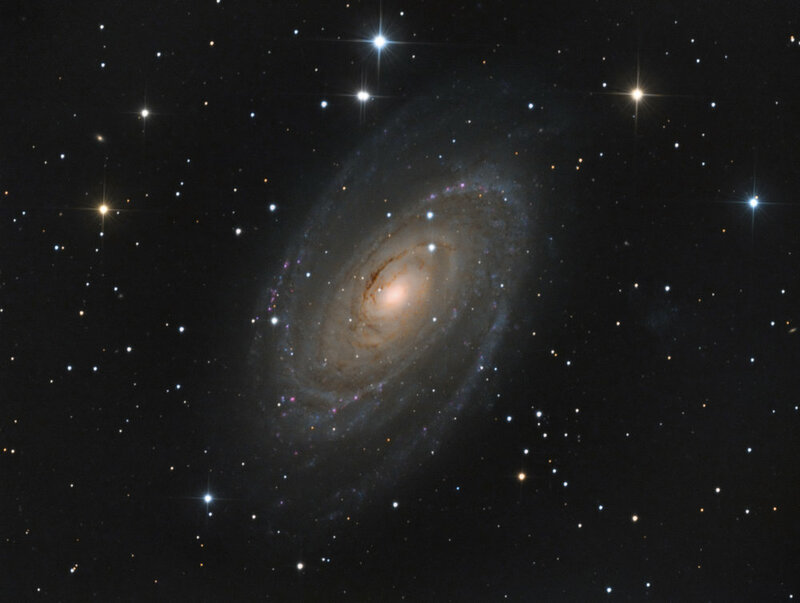 Messier 81 (also known as NGC 3031 or Bode's Galaxy) is a spiral galaxy about 12 million light-years away in the constellation Ursa Major. With its proximity to Earth, large size and active galactic nucleus (which harbors a 70 million M☉ (solar Mase) supermassive black hole). The galaxy's large size and relatively high brightness (mag 6.94) also make it a popular target for amateur astronomers. Post Processing Software: Photoshop, PixInsight, MaximDL 6, Excalibrator.